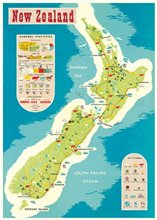 Statistics Of Nz On Map Cavallini Wrap - ubiq bookshop: the best place to buy books! Beautiful high quality gift wrap. Cavallini decorative wrap is bestselling and most original designs in the market place. Printed on Cavallinis signature Italian paper.